Millions of young people are left without a job. 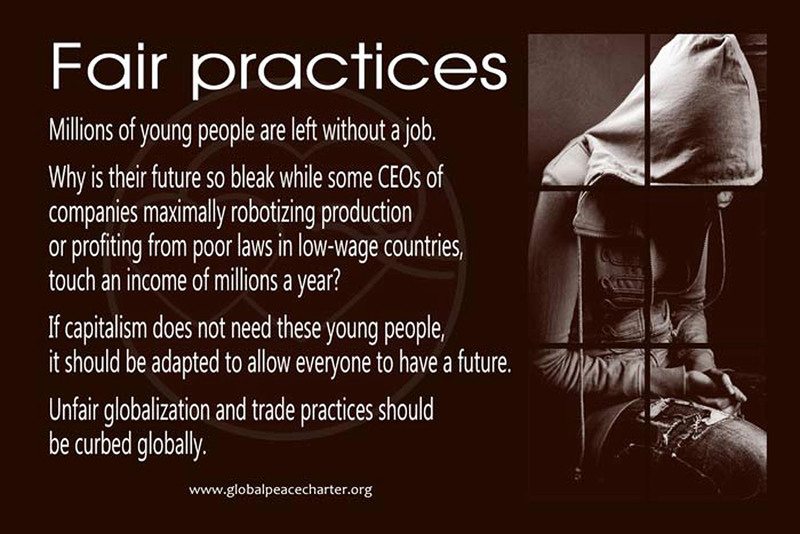 Why is their future so bleak while some CEOs of companies maximally robotizing production or profiting from poor laws in low-wage countries, touch an income of millions a year? If capitalism does not need these young people, it should be adapted to allow everyone to have a future. Unfair globalization and trade practices should be curbed globally.